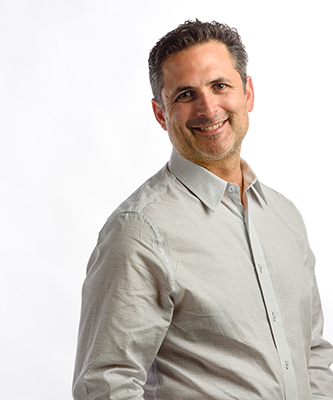 As Louis Castriota navigated the maze of finding services for his special-needs daughter, he found himself on a new career path as well. After 20 years in media and advertising, he moved into the nonprofit world and opened Leg Up Farm in York County, Pennsylvania, in 2010. This therapy and education center offers customized services for children with special needs, including physical, occupational, speech, behavioral and aquatic therapies; nutrition services; horseback riding; and interaction with animals. Then in 2015, Castriota and his team launched Able-Services to assist adults with special needs, and finally, in 2016, they opened Leg Up Farmers Market, now a booming natural grocery store with a loyal following. While these efforts may seem unrelated, they all tie together in a very cool way. NFM sat down with Castriota to get the full scoop. NFM: What sparked your interest in serving people with special needs? Louie Castriota: When my little girl, Brooke, was 1, she was diagnosed with an autism spectrum disorder and mitochondrial disease. This forced our family to take a hard look at the therapy services available in our community. From that personal experience—just as Dad—I said, “We’ve got to find a better way to do this,” because the services we had access to wouldn’t allow Brooke to reach her full potential. So we started on a journey to create the ultimate therapy center for kids. It was quite an undertaking: It took 13 years to see the vision realized and get Leg Up Farm open. NFM: W hat was that vision and what does Leg Up Farm offer these children? LC: My original vision was to create a lifespan approach to serving people with special needs. Lots of organizations offer either kid or adult programs, but they do not serve people all throughout their lives. So first, we opened Leg Up Farm, which now serves about 700 children a year. We provide tailored outpatient therapy for kids in an engaging, child-friendly environment in order to create a positive impact physically, emotionally and socially. We also now have a school on our campus—a collaboration with the local school district—to raise the bar on how education and therapy work together. Then in 2015, we formed Able-Services, a really cool community-based adult program centered around a 6,000-square-foot greenhouse. NFM: The natural market came along the following year. What led you down that path? LC: We wanted to create a natural grocery store because nutritional health is a very important component of serving children with special needs. Looking at the whole child, we needed to create access to healthy food to complete the circle. But while doing that, we also wanted the grocery store to be a catalyst for vocational programs for the adults at Able-Services. For example, they grow Easter flowers, mums and bedding plants and sell those through Leg Up Farmers Market. Because Able-Services and the market are on the same campus, they get the experience of growing a product and interacting with the public as customers buy it. We also roast small-batch coffee in-store, up to 5 pounds at a time, and our adults with special needs bag it, label the bags and see the products sold in six other retail locations. Along with creating vocational training, these efforts share our social message and educate more people about what we do. NFM: Sounds like the community benefits from your efforts as well! LC: Yes, another thing our market does is provide healthy food options to the greater community. I’m a big believer in supporting local producers and artisans, so outside of Able-Services and the Leg Up Farm connection, we also want to be good stewards in our community. Supporting local whenever we can is important for keeping our local economy moving and creating tax revenue and jobs. It is also better from an environmental perspective because the impact is lessened by goods being produced and sold in our community. NFM: What do shoppers especially love about your store? LC: Leg Up Farmers Market has been very welcomed by the community. Right now, we average about 500 shoppers a day. Our juice and coffee bar is very popular because we make fresh, cold-pressed juices and roast our own coffee. We also have all local meats, which is pretty impressive in our community, and a big bulk section. We have a brick pizza oven from Italy, make sushi on-site daily, and offer a lot of soups and salads made in-house to our high natural standards. NFM: Do you also offer education in-store? LC: Yes. Because the store is part of the Leg Up Farm fam ily, we’ve written grants to receive dollars to educate lower-income families on how to shop for local and organic food. People often think they can’t eat healthy food on a budget. They can, but it’s a process to teach them how to buy produce and shop the bulk department and store specials. Through these grants, we give out gift cards and pay staff to offer that education. In addition, we participate in WellSpan Health’s Market Basket of the Month program to give Market Bucks to lower-income families. We also do a lot of free cooking classes in-store and have a neat community room that people can use for free. NFM: Now that you’re a retailer, what does your day-to-day look like? LC: Along with overseeing the big-picture vision of the organization, I’m used where I’m needed most. 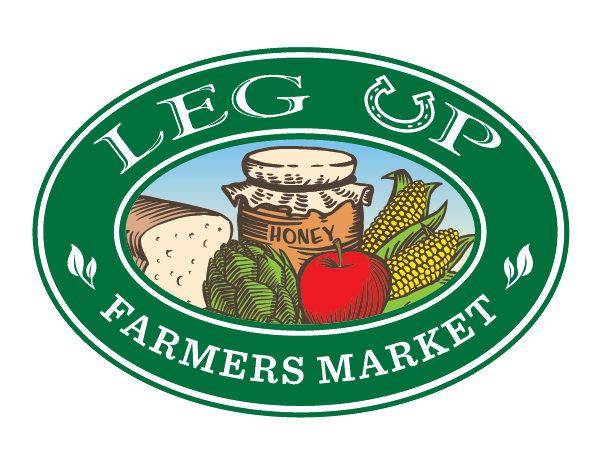 Right now, because the market is the newest member of the Leg Up Farm family, I’m in the store about 40 hours a week. This is quite a learning experience for someone who has never worked in retail. I really admire people who work in food retail now that I’ve personally experienced it. Unlike many other businesses, the grocery business evolves on a daily basis so you need to be on top of everything daily. I also admire how much people in the natural products industry really care. NFM: What’s the most rewarding aspect of retailing? LC: The most rewarding part is talking to customers who’ve had some type of positive experience because of our store. It could just be an interaction with our staff or someone saying their health is improving because of the products we sell. That is very fulfilling to me. NFM: What are your future goals for the Leg Up Farm family? LC: Right now, we have two goals. One is to continue to expand our wholesale coffee distribution to create more job opportunities for adults with special needs. Second, we want to replicate the Leg Up Farm family concept, including the grocery store, in other communities where we could impact both children and adults with special needs. We just received a land contribution in Franklin County, Pennsylvania, so we’re working on replicating there. And we’ve received calls from other states about potentially expanding. But it’s challenging. Providing these services requires continuous fundraising because, unfortunately, we are not reimbursed enough to cover their costs. So it’s a little different than when a successful business can keep replicating because it has profit. Our model is more about serving the community.